I have struggled with my weight for the great majority of my life. I gained a bit OF weight when I was a teenager, and then a LOT of weight when I had my 5 babies. I was a constant dieter. I was always thinking about it and planning my next diet, but I just never found anything I could stick to. I didn’t know why, but I always seemed to lose my way. I was on such a merry go round with the whole thing that I started to wonder if I was even capable of it and was maybe just a little crazy in the head. And then on top of the whole “crazy in the head” thing I was struggling with, I had 5 kids…so there was always that whole “what’s for dinner” thing going on. I can’t think of a more awful job assignment for someone who struggles with how much they are eating than to make them in charge of what EVERYONE in their house is eating! My whole life had turned into a “food thing”! But I didn’t want to give up. I wanted to be successful with my weight loss. So, I kept trying all the plans and diets I knew of, but I kept running into the same difficulties. I was just overwhelmed with all the planning and effort it took to manage what I needed to eat to stay “on plan” and what my family’s needs were. I didn’t want to cook twice, eat different stuff than I fed them, and I didn’t want to spend a lot of time cooking any more than I had to. I wished that somebody would just figure it all out for me, tell me what to eat, feed my family, and make it all easy. Well, that didn’t exist. So, I invented it. That is what this “DietBrain” thing is. The name came about as an idea for a smartphone app. I figured that since we were all walking around with a mini computer in our pockets, an app could be developed so that with a few clicks of a button it would be able to figure out what I should eat all day, serve my family for dinner, and how much of it I should eat…thus be my “diet-brain”. This is where the story gets WAY TOO LONG for a simple blog post, but fast forward to today and I have lost 52 lbs. using the DietBrain app and we are nearing the launch of our new DietBrain weight loss membership where the app will be available exclusively to our members. Part of the solution I developed for myself and my family is a menu plan that is incredibly simple and easy. It had to be so that it would actually be DOABLE and MANAGEABLE. So many of the plans I tried to implement were effective weight loss plans or strategies, but they always treated me like I was alone with my eating and there were no other people in my household or events in my life. I always felt like I was “white knuckling” it trying to stick to a plan requiring that I eat foods I didn’t normally eat. A large part of what makes DietBrain work for me is that it is pretty common food that is very easy to prepare and family friendly. That’s how I keep going, and when you can keep going and not quit…well…that’s how you make progress! 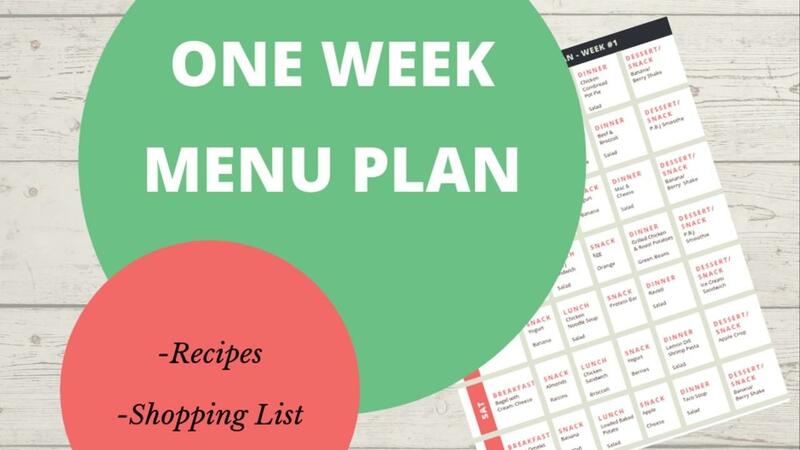 If you are curious as to what is actually on the menu, you can download a free copy of one-week sample menu plan here. And if you would like to know more about DietBrain and my story, you can follow me on Facebook. Don’t give up. No matter your challenge or how long you have struggled, you CAN do this. You can find a way, you can learn the skills, you can make progress towards a healthier life for you. You can. You can. You can.